The MBA application process is not for the faint of heart. Elite programs have increasingly required applicants to follow paths unique to their schools, which makes the process of narrowing down the options to find the right fit even more essential. 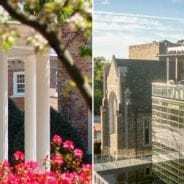 Our School v. School series saves you the headache by offering a point-by-point comparison of two stand-out programs located in North Carolina’s Research Triangle: UNC’s Kenan-Flagler School of Business and Duke’s Fuqua School of Business. Read below to find out how the intense UNC vs Duke rivalry shakes down when it comes to business schools. Navigating the maze of scholarships available to MBA students (really, students in general) can become a bit overwhelming. 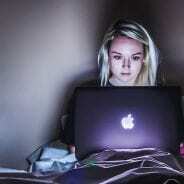 And for students hoping to earn a degree online, the search can seem never-ending. 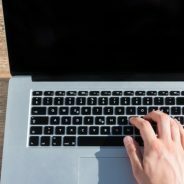 To help, we’ve broken down a handful of the most intriguing Online MBA scholarships. 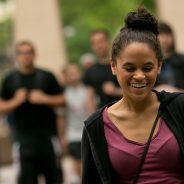 The release of the Harvard Business School (HBS) Class of 2020 profile statistics last week revealed that the Boston school—like many of its U.S. peers—saw a decrease in overall application volume, but median GMAT score and GPA remained unchanged from the prior year at 730 and 3.71 respectively. The admit rate, 11 percent, was also unchanged year over year. So though he was working from a smaller pool of 9,886 applicants (down from 10,351 last year), Managing Director of Admissions and Financial Aid Chad Losee did not sacrifice on quality. HBS is one of many leading U.S. business schools to see application volume drop off in this most recent application cycle. A strong economy paired with concerns among international applicants about potential student and work visa challenges made for even more dramatic declines at schools like UNC Kenan-Flagler and Georgetown’s McDonough School, which reported double-digit drops of 18.3 and 16.2 percent respectively. Yield at HBS–which is to say the percentage of admitted students who chose to enroll–slipped from 91 to 90 percent. Still, HBS remains far and away the leader in this statistic. Applications are down 4.5 percent at HBS, but declines across other U.S. MBA programs was much more apparent. At HBS, the 4.5 percent application volume decline was spread between both international and domestic applicants. 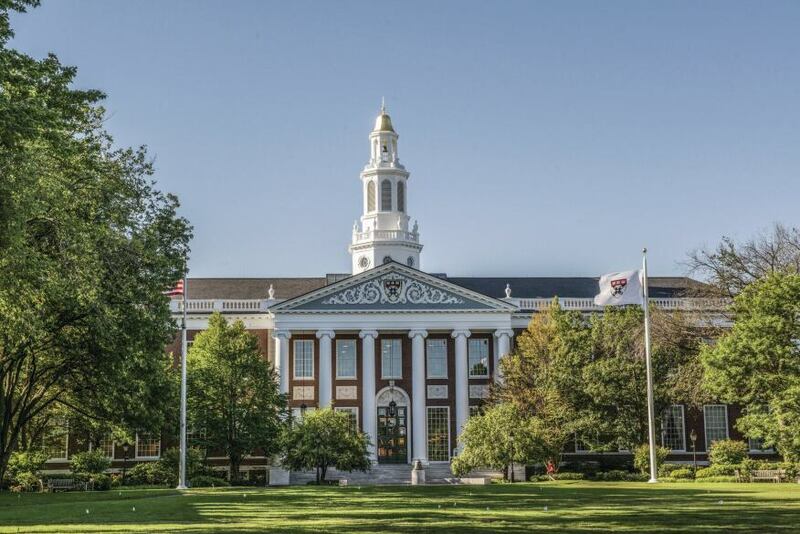 International students make up slightly more of the HBS class this year, 37 percent compared to 35 percent last year. They hail from 69 countries as compared to 70 for the Class of 2019. Another interesting development is the increase in GRE takers among admitted students. A record-setting 15 percent of the incoming class got there on the strength of their GRE scores, up from 12 percent last year. It’s only in the past couple of years that schools have begun to disclose the percentages of students who submit GRE scores in lieu of GMAT scores, which used to be the gold standard. 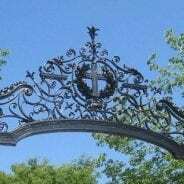 But at HBS and elsewhere, a growing number of applicants seem to be taking schools at their word that they are indeed test agnostic. There were not a lot of major shifts elsewhere in the statistics for the newest HBS class. The percentage of women is down by one point, slipping from 42 to 41 percent. U.S. ethnic minorities remained constant year over year at 26 percent of the class. The average age also remains unchanged at 27. In terms of prior work experience, there were again few shifts from the prior year. Slightly more students came in from private equity/venture capital (16 percent, compared to 15 percent last year), tech (also 16 percent, up from 15), and government/non-profit (7 to 8 percent). These upticks correlate with small declines in students from industrial/heavy manufacturing and other services. Military veterans make up 5 percent of the Class of 2020, on par with the Class of 2019. And in terms of what students in this year’s entering class studied as undergraduates, again HBS showed little fluctuation. Economics/business majors make up the largest portion—46 percent, up from 45 percent last year. STEM undergrads also increased one percentage point, from 36 to 37 percent. Humanities/social science undergraduates made up just 17 percent of the class, down from 19 percent last year. To view HBS’s complete Class of 2020 profile, click here. 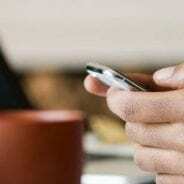 This article has been edited and republished with permissions from our sister site, Clear Admit. Earning an MBA holds tons of value in the business world—an advanced business degree can open doors that may otherwise have been closed, and boasts a high return on investment thanks to the top-level salaries that MBAs command. Graduate school—and all of the coursework that comes with it—can be an intimidating challenge, but paying for it doesn’t have to be. Aside from scholarship, grant and fellowship opportunities at business schools across the country, more and more companies are placing a higher importance on tuition reimbursement programs, and expanding opportunities for paid MBA tuition reimbursement. How can you get your employer to pay for your MBA studies? Let’s take a closer look. First thing’s first: You need to find out if your current employer offers tuition reimbursement to its employees. The terms of reimbursement vary depending on the company, with some corporations not offering any sort of program at all. Those that do offer some sort of compensation may do so on a course-by-course basis, or as a lump-sum reimbursement package for coursework in relevant degree plans. If you want to convince your employer that your education is worth investing in, you’ll need to show that earning an MBA will further your business acumen and understanding of your industry, and ultimately help your company reap those benefits. 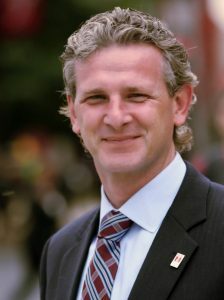 “Usually, an employee has to already been delivering great results within the company,” Roderick Lewis, international relations director at the ISCTE Business School, University Institute of Lisbon, told Business Insider. “If you haven’t already convinced your company, then asking them to [sponsor your education] becomes really difficult,” Lewis says. Do current members of middle or upper management hold advanced business degrees? Does your company have the available revenue to invest in employee education? Would someone with the type of advanced training you seek bring clear advantages to the company? If those point hold true in your situation, then start researching which programs specialize in providing the skills that your company needs. Keep in mind: You do not have to limit yourself to business schools in your metro thanks to popularity of Online MBA programs. There may have once been a stigma against online programs, but the of the matter fact is that many of the top online MBAs on U.S. News & World Report’s annual rankings also rank highly on the publication’s top campus-based graduate business programs list. Once you’ve found the right program, you’ll want to craft a brief proposal for your employer. In it, you’ll want to mention how you fit the company’s tuition reimbursement policy, and list the advantages that continuing your education can bring you and your company. Don’t shy away from providing data on how much assistance you may need and how this investment will pay off for everyone, while also ensuring your employer that you’ll remain committed to the company during your degree program, or won’t jump ship after earning your degree. 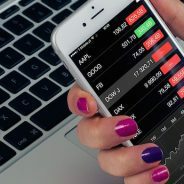 Investopedia recently compiled a list of companies have stated that they place a high value on their tuition assistance benefits, and provide tuition reimbursement for the educational costs of an MBA. According to Investopedia, consulting companies lead the market in tuition reimbursement programs for MBA courses. These firms also pay the highest salaries for MBA alumni. 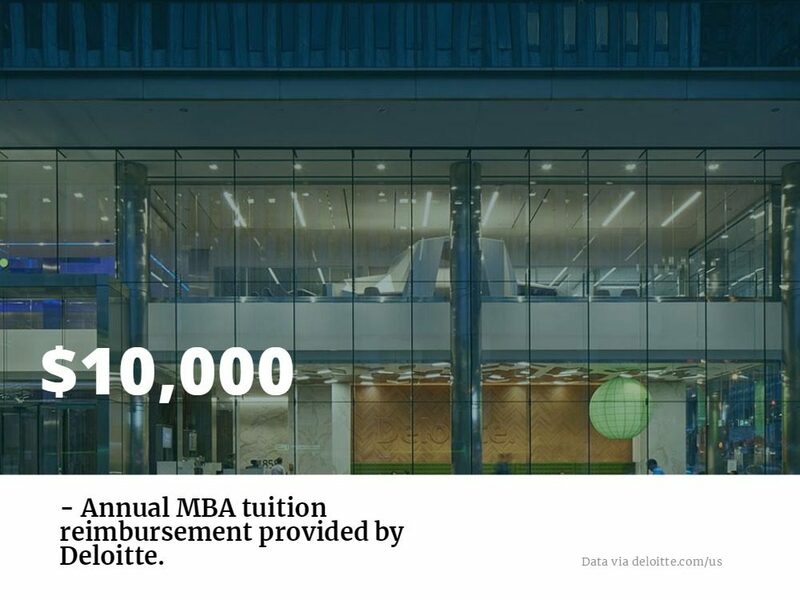 Deloitte has the most robust tuition reimbursement plan, providing employees with up to $10,000 per year in MBA reimbursements. The firm requires two years of work with the company and a commitment to work for the company after graduation in order to receive the tuition assistance benefit. Financial institutions and banks also place a high value on employees with MBAs, and provide tuition assistance. One example is Bank of America, which provides employees with annual tuition assistance of up to $5,250 for advanced degree coursework. Wells Fargo also has a track record of paying for MBAs, doling out up to $5,000 annually for tuition expenses. The booming tech sector is also hiring MBAs left and right, with some firms developing their MBA talent in house by offering to pay MBA tuition expenses. Apple tops the list of tech companies offering tuition assistance, providing reimbursement of up to $5,000 annually. MBA degrees are even more coveted in the the specialty defense technology sector, as Raytheon, one of the top defense technology companies in the world, offering to pay up to 100 percent of employees’ college tuition for graduate school. Chevron: A market leader in the energy sector, Chevron offers offers tuition reimbursement of up to 75 percent for its employees. Ford: Ford’s education tuition assistance program provides employees with tuition reimbursement of up to $5,000 annually for an MBA. Procter & Gamble: This firm has one of the leading tuition reimbursement benefits in the consumer goods industry, providing reimbursement for up to 80 percent of educational costs with a limit at $40,000. AT&T: This telecom giant provides employees with up to $5,250 annually for tuition assistance, for a maximum reimbursement of up to $25,000 for graduate school courses. UPDATE: Since the release of this article, U.S. News & World Report has removed the Fox School of Business from its 2018 Best Online MBA ranking for reporting falsified application information. This article does not reflect the changes in the ranking. The Temple University Fox School of Business Online MBA program has been named the best in the United States for the fourth consecutive year by U.S. News & World Report. We recently spoke with Darin Kapanjie—Fox Temple associate professor, Academic Director of the Online BBA, Online MBA, and part-time MBA programs, and the Managing Director of Online and Digital Learning—about the school’s miraculous online supremacy and what the future holds. Staying at the top of any MBA ranking, not just in one region, but across the entire U.S. for four years, is unprecedented. For Kapanjie, it’s been long enough for him and the rest of the Temple Fox team to start guessing when, if ever, another school will take over. Unlike many new online MBA programs, which are designed for applicants with less experience, the Fox School of Business Online MBA caters to a more “mature” demographic, he notes. “The design of our program speaks to a more mature business professional. [Students] average over 12 years of work experience, which is unusual for an online program. That mature population helps with some of the ranking criteria. We’ve also invested heavily in the product we are delivering, we have a team of instructional designers, instructional technologist, technical support specialists, and web developers. We have built our program, marketing, recruiting, and instructional design teams from within, nothing is outsourced. As a result, this team is dedicated to the success of this program. 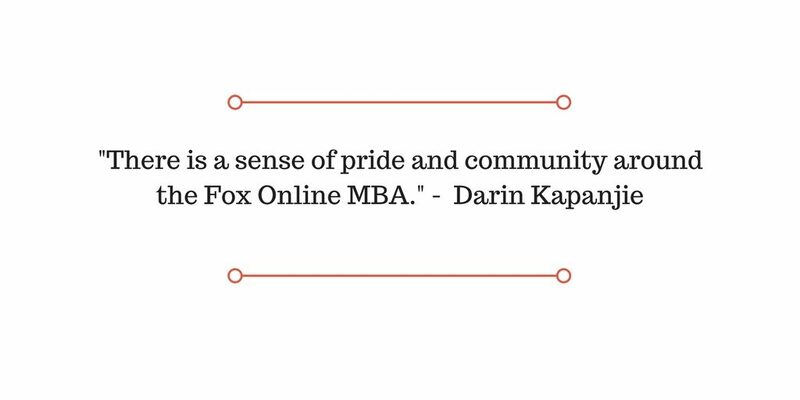 There is a sense of pride and community around the Fox Online MBA. Despite the Online MBA’s miraculous rise to prominent among business schools, Kapanjie acknowledges that Fox and other schools like it are still competing against traditional MBA programs. However, there are plenty of reasons to prefer the digital format. Even with a rich tradition of forward-thinking business school programs located in and around Philadelphia, Fox manages to stand out—particularly among schools offering an online degree. But to keep Fox’s top spot, Kapanjie acknowledges that the program cannot remain stagnant. For more information on the Online MBA at the Temple University Fox School of Business and other MBA offerings, check out our profile on the business school and head over to the official Fox Temple site. The annual U.S. News & World Report 2018 Online MBA rankings are officially in, with the Fox School of Business at Temple University, once again, taking the top honors. With so many amazing online MBA programs available throughout the country—and without location making the decision for you—it can seem nearly impossible to choose which Online MBA degree program is right for you. With the increasingly available option to customize your degree in a particular area of emphasis—just as most full-time MBA programs offer—students can gain a competitive edge in their field without ever having to leave their house. In addition, the kind of specialization offerings at each program may help students narrow down the perfect Online MBA for them. Whether your looking to gain industry expertise in accounting or entrepreneurship and anything in between, understanding the areas of emphasis and structure of each degree can be a big help when confronted with such a vast number of impressive programs to choose from. We take a look at most in demand concentrations available at each of the schools in MetroMBA’s new Online metro, finding what sets each program apart and may make it the perfect degree for you. At Temple University’s Fox School of Business, accounting is seen as much more than just calculating numbers—at Fox, it’s “the language of business.” It’s also the most popular area of concentration for students pursuing their MBA online. The Department of Accounting at Fox focuses on an intense study of the field of accounting, providing students with several opportunities to gain “real-world” experience in the discipline. This sort of experience provides a competitive edge no matter what career path accounting students choose to pursue, which both include and go beyond public accounting. In addition to students who choose to concentrate in accounting, the Online MBA at Fox is already strongly rooted in the accounting discipline, with all students being responsible for taking an accounting course as a key part of the degree and its curriculum. If you are looking for a flexible degree that can expand your entrepreneurship knowledge, the Hough Graduate School of Business’ Online MBA may be the perfect degree for you. One of the four options in which students can focus their degree, Entrepreneurship skills are a core part of the Hough School’s curriculum. Students looking for a more immersive or even global entrepreneurship experience can also take the courses for their concentration within just one week on campus in Gainesville, or taken during a one week international study trip. 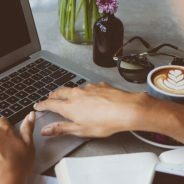 Of course, students who don’t have the ability to take a week off for this purpose may choose to pursue their Entrepreneurship electives online, as with the rest of the core courses of the degree. Students looking to focus their MBA in finance will find themselves in good company at Indiana University’s Kelley School of Business. Studying the discipline with the same highly ranked faculty who teach in the full-time MBA program, online students have the chance to round out their degree with electives that particularly focus on the financial applications of their MBA degree. One reason the study of finance is so popular for online MBA students at Indiana University may be the opportunity to pursue a dual degree, combining their MBA with an online MA in subjects like Finance, Strategic Management, and Business Analytics, among other options. Such an interdisciplinary degree with a strong finance background will give Kelley graduates a competitive edge as they enter the workforce. The Online MBA@UNC provides students with a world-class MBA curriculum that allows students to specialize their degree within one of eight special areas. In high demand at UNC is the Management Consulting degree, which prepares students for positions as business consultants. Even though online programs don’t typically scream “hands on,”the MBA@UNC is build this way, providing consulting students with ample experiential learning and guided practice to gain the necessary leadership and client management skills for success in the consulting field. The Tepper School of Business, ranked as the second best Online MBA by the U.S. News & World Report, is a top MBA for students interested in specializing in Business Analytics. 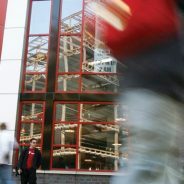 Students at Tepper have the chance to set their MBA within a particular track, and with the decision to focus on Business Analytics students will be provided with the necessary skills to transform massive amounts of data into usable and analyses to improve the worlds of both business and technology. Graduates from the Business Analytics track at Tepper have accepted jobs from such companies as Amazon, Microsoft, IBM, McKinsey, and more. Students looking to specialize their MBA in Supply Chain Management/Logistics may find the perfect degree at Arizona State University’s W.P. Carey School of Business. 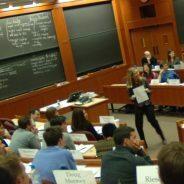 With so many of the degree’s core courses centered around logistics- such as ‘Decisions, Market Structure and Games’ or ‘Operations and Supply Management’—MBA students can use their electives to even further customize their degree with courses like ‘Supply Chain Cost/Design Issue, ‘Suppler Management and Negotiations,’ among others. What Are The Differences Between The World’s Best Online MBA Programs? Every year, the online MBA becomes an increasingly more attractive option for business school students. With the flexibility to pursue your degree at your own pace and the chance to choose the best MBA program for you without considering location, prospective MBAs can truly make the most of their degree. And though some may be worried about missing out on a traditional classroom experience and the community that comes with it, changing educational technology has made it easier than ever for students to play an important part in their school’s community—without getting out of your pajamas. The new MetroMBA Online Metro has rounded up some of the best online MBA programs available to students. To help determine which program fits your needs, we take a look at what sets each program apart—and what might just make it the perfect MBA for you. The Online MBA Program at Temple University’s Fox School of Business has the distinction of being ranked as the best online MBA in the country, and the best online MBA for veterans, according to U.S. News & World Report. The Online MBA at Fox offers total flexibility for students, with the opportunity to complete the degree within anywhere from 20 months to six years. To help students feel connected with the Fox community, the program offers weekly live web conferencing sessions allowing students to stay connected to faculty and classmates, as well as providing one-and-one career coaching. The Online MBA at Fox is structured around three required courses that help prepare students for the program, 36 credits that can be completed at the student’s own pace, and a final consulting capstone course that offers total business immersion. The Fox MBA has also been recognized for its benefits for frequent travelers or military members. About 17 percent of students in the most recent class had some form of military experience. The Fox Online MBA offers a number of areas of study, ranging from HR Management, International Business, Real Estate, Statistical Science, and much more. After completing the program, students on average saw a $30,000-plus salary increase and a median salary of $105,000 three years after graduation. Although online MBAs tend to be on the rise in recent years, the Hough Graduate School of Business was one of the first business schools to offer a fully accredited online degree—almost twenty years ago. Today, the Financial Times and U.S. News & World Report consistently rank the Hough Online MBA among the top programs in the country. The Hough Online MBA is the perfect opportunity for students that travel extensively, may move while pursuing their degree, or have a number of weekend commitments. To ensure that students still get face-to-face time with the school’s faculty and classmates, students return to campus once every four months for periodic residencies, allowing them to stay in touch with the community. The online degree at Hough can be completed in either a two-year or one-year format. Both degrees give students the chance to choose among four areas of focus for their degree: entrepreneurship, finance, marketing, and international. The Hough Online MBA may also be perfect for students looking to immerse themselves in a global business education, as it offers students the chance at a Global Immersion Experience. Students have recently traveled to areas such as Argentina, United Arab Emirates, China, and Ireland. The Online MBA at the Indiana University Kelley School of Business is made up of 51 credit hours, 39 of which are required courses. The remaining credits can be used towards electives that will help students narrow the focus of their degree in an area such as Business law and ethics, economics, marketing, project management, operations, and more. Each quarter, Kelley also offers an AGILE course—Accelerating Global Immersion Leadership Education—which frequently partner with top business schools around the globe. Students have recently traveled to such areas as India, Myanmar, South Africa, Botswana and Brazil. The Kelley Online MBA also stands out because it offers students the chance to earn a dual degree online, pairing their MBA with an online MS in Business Analytics, Global Supply Chain Management, Marketing, Strategic Management, or Entrepreneurship & Innovation. The Online MBA at the UNC Kenan-Flagler Business School, better known as the MBA@UNC, may take students anywhere from 18 to 36 months to complete and include nine core courses in foundational business fields, such as economics, introductory finance, business strategy, operations management, and more. Students may also choose from over 30 electives to focus their degree in a particular concentration such as entrepreneurship or management consulting. The MBA@UNC also requires students to complete two in-person immersions, which may be completed domestically or—for students interested in global business—internationally. Through the Student Teams Achieving Results (STAR) and Doing Business In (DBI) program, students also have the chance to study abroad at an MBA exchange partner school. The MBA@UNC stands out thanks to its many post-graduate resources thanks to the Career & Leadership team. Replacing traditional on-campus recruiting, a Virtual Company Information Sessions allow executives from a variety of industries throughout the country to communicate with students about the hiring needs of their companies. Alumni can access these resources at any point after their graduation and can also take additional MBA courses as needed for their career development. Carnegie Mellon’s Tepper School of Business offers students a flexible online degree that is completed through a combination of online and on-site experiences throughout a 32 month period. Each week, students will have access to a 70-minute online course that allows them to virtually interact in real time. Throughout the year, they will also be required to attend six “Access Weekends,” held at the university’s various locations throughout the country. The Tepper Online MBA may be the program that provides the most opportunities for in-person contact with classmates and faculty, so students that are interested in more face time as part of their online program may be particularly interested in this degree. Tepper students are provided with in-depth career coaching and recruitment opportunities. Students will also visit a number of major companies in the country, such as Google, Amazon, JP Morgan, and Microsoft. Within just three months of graduation, roughly 91 percent of students in the Tepper Online MBA program were offered a full-time role. The Arizona State University’s Carey School of Business online MBA degree is structured around just one course at a time, each five weeks long. Students are immersed in an inclusive online environment that allows them to interact with classmates through case-based projects. Carey, in comparison to several other schools noted on this list, is also unique in its option of pursuing a concurrent online degree, such as a Master of Legal Studies, MSE in Electrical Engineering, or MS in Industrial Engineering. According to U.S. News & World Report, a career as a financial manager is the third hottest job for a graduating MBA student in 2017, while a career in accounting ranks number one. Indeed, finance careers pay well, offer robust job growth, low unemployment rates and the opportunity for MBAs to use both their quantitative and creative skills.